Congrats, You Graduated From The Makeup School, NOW WHAT? You graduated from the makeup school, NOW WHAT? The time has come - you’re graduating from makeup school! This is an exciting time as you are preparing for the next step in your career journey. You’ve spent countless hours learning the tricks of the trade and perfecting your craft; congratulations are in order! You’ve demonstrated your hard work and determination in becoming a professional makeup artist. However, you might be feeling a little lost about what direction you want to take. After all, you want to make sure that none of your training goes to waste, and finding a career that you will love completely can cause a little anxiety. But do not fear! You have more options than you think you do. If you’re graduating and about to transition into the professional world, read further to discover some of the steps to take in order to start your career. In order to get clients, you will need to start making a name for yourself. This includes having your own website and working on marketing yourself, whether in-person or on social media. This is also how potential clients can contact you and view your work before they decide to book you. Carrying out the first stages for any up-and-coming makeup artist is no easy task. There is a lot of time and energy spent on creating a strong customer base, and social media is a relatively low-cost and easy way to increase your social presence. Showcase your talent and the bookings will come faster than expected! Besides having a website where clients can reach you, you may also want to start a blog. People value information, and this can be a way to teach others and demonstrate your expertise in makeup. By adding content to your website and updating it consistently, the higher Google will rank your site, making it easier for you to be the top choice when potential clients are searching for services. Your website also becomes your online portfolio. Right after graduation, doing volunteer work has its advantages. You can network and practice your skills at the same time! You can contact local theater groups and event planning organizations and offer your service. Even though you will most likely not be paid, you can use it to build your portfolio and build your client base. If you are working at an even, you may even receive credit for your work, attracting even more people to your brand. No matter how successful you are, it’s always a good idea to rub elbows with industry professionals! You can start by finding a mentor, someone you know that already has experience in the beauty industry. This can be your makeup school instructor or someone you recently met through social media or a beauty event. Do not hesitate to reach out to them; they will probably be flattered that you approached them! Offer to assist them, even if you will not be paid for your time. Your mentor will be able to guide you and give you valuable advice and experience that will be worth it. Your mentor may be able to introduce you to new people, which could potentially lead to more work in the future. If possible, you should attend industry events and beauty shows for great networking opportunities. Remember to hand out your business card! You should also make sure to make connections with your fellow classmates. You will be able to build your professional circle, or just have friends to bounce creative ideas off of. It can be helpful to know people that are going through the same transitions as you. If you are not sure of what field you want to work in, check out our blog to help you choose! Just like networking, there is no limit to how much time you spend practicing and polishing your skills. There are only so many hours spent in the classroom, which is why it is important to work on your craft outside of school. The only way to master the skills you’ve learned is by using them over and over again. Take every opportunity to sharpen your skills and make it a part of your everyday routine. Graduating is only the first step in your career and practicing will only take you further. A way to practice is by working at a makeup counter at a department store. Because of the heavy foot traffic, you’ll get the chance to work on all kinds of skin types, ages, and shades. It will also help with fine-tuning customer service skills. Customer service is a important aspect of any service, and you’ll be able to provide the best experience for your client. At Nina Mua, we want to see our students thrive and become successful both inside the classroom and out. Just because you’ve graduated does not mean that our support stops. We want to help you in your career. We offer a closed Facebook group where we notify our students and graduates of career opportunities. We also offer graduates discounts for various makeup brands and website to help build your kit. We also look forward to starting this journey with you! Fueling anyone’s inner passion is one of our goals. If we are able to help, we would love to take the challenge! Hence, the New York-Inspired Photo Shoot at Nina Mua for our March event. This was held not only to gather a sweet group of aspiring makeup artists, but also to give them a taste of what their career could be like. Corinne Tweed led the group as Evgeny Milkovich captured every moment. The inspiration for this event is New York City itself and it was an awesome time to have worked with a new model from EMG at that time, Sadie Petiford. Corinne was highly stirred by the bright yellow cabs that flock the city, but did not let this color overshadow the whole look. That would have been a very expected move! She actually went for another color that complements yellow, which is purple. She also mixed a bit of pink here and there which made the look even more exciting! Other than makeup, we actually had guests who were already working as photographers and some aspiring ones as well. We can still clearly recall how it became an opportunity for all of us to ask questions to Evgeny, who is a renowned fashion photographer. He is also known to have his works published on Vogue Italia, with makeup looks completed by our graduates in photo shoots. Everyone really wanted to hear what he has to say. Everyone was overflowing with questions that only an experience individual can answer. Without a doubt, the crowd became even more thrilled knowing that a professional photographer is on-hand. They did not only ask how to take amazing photos, but they were also curious what it is like to be working in the industry. How do you get your first job? How do you get your photos published? What are the work ethics as a photographer, model, and artist? These are among the common things that have been brought up. Quite frankly, a portion of the event became an open forum. We also didn’t want to miss the chance of teaching our guests on how they can set up their own photo shoot. While studio equipment may be extremely helpful and ideal, one can still hold a photo shoot without these. It’s that time to call friends and family for help in terms of assistance, and also the time to learn how to be resourceful. We are now in 2018 - anything you see can certainly be improvised! For backgrounds, you can use a white, black, or any colored wall that you like. If not, buying fabrics should do the trick. We took photos with white and black backgrounds but we also wanted our photos to have more edge so we purchased a checkered fabric (after all, we’re at the Garment District!) for only $13, and the photos came out unbelievably astounding. Another great example are the Marc Jacobs earrings we found on Pinterest, which really inspired a big part of the whole makeup look. It was a pair of literal zipper earrings and it reminded us so much of highways. We wanted to incorporate these earrings but we found out that it retailed for more or less $80. Knowing that they are a luxury brand, a sky-high price shouldn’t have surprised us. However, we did not really see the need to purchase it for the intention of a one-time use so we went out of the way to mimic these earrings out of materials you can find at a craft store. We used an old pair of earrings that were already at the studio for the hooks, a zipper, and super glue. Guess how much we brought out of our pockets: $5! Yes, just $5. Now you know that little to no budget is not an excuse. Look around you. Your inspiration is everywhere. You have the whole world to look at and you don’t necessarily have to copy every little element. You can draw inspiration from it and create something new. Anything you dream of is indeed possible if you look for ways on how to make this happen - whether it means building a certain thing from scratch. Some processes may take a while compared to those who already have enough sources. In the end, you will still get almost the same results; and another thing that this event taught us is the need to be patient and hard working, especially in this industry. So you’ve finally graduated from makeup school, and maybe you’re feeling a little lost in what you want to specialize in. It’s not true that you can only do one specific type of makeup, there are many fields that are in need of your skills. Don’t feel confined; you have plenty to choose from! This includes being on the set of films, television shows and commercials. Even if actors do not need any special effects makeup (no aliens here! ), makeup artists are still needed to help the director shape the appearance of the characters and make their vision a reality. Of course, reading the script thoroughly is crucial, as it is your duty to breathe life into a character and make them more three-dimensional. In many cases, film and television require a natural but “enhanced” look, as filming in HD captures everything. If you also know how to style hair, then you’ve got a huge advantage. Most sets have separate artists for hair and makeup, but knowing both will make you more favorable for hire. You might even get to work with celebrities! Do you have a love for fashion? If you do, then perhaps working in the fashion industry is your calling! Working as a runway makeup artist is fast-paced, but is also filled with fun. You will have the chance to showcase your skills on a variety of models with different skin tones and facial features. Through hard work and showing a high level of professionalism, you may be able to work your way into becoming the key artist. If so, you may have the opportunity to design the makeup look. The runway looks tend to affect the trends for the upcoming seasons and you’ll be credited as a trend-setter! There are different fields under the umbrella of print. Similar to film and television, print advertisements and commercials go for a more subtle and natural look. In the case of shooting for fashion, because you would be selling a lifestyle or brand image, you’re also focusing on the mood and the feel of the brand/product itself. While working in print, you may be required to follow the direction of the director. Working in print can be a very lucrative career path, and will also allow you to have opportunities to network with photographers, models and producers. You will be able to show off your makeup skills. Another plus to working in this field is that you get to have your work published in print or online. Many brides are in need of a professional makeup artist to help them achieve a stunning bridal look on their big day. The bridal party may also be in need of getting their makeup done. A career as a bridal makeup artist requires you to not only have the necessary skills in makeup application, but also the charm to work with stressed brides. Although makeup artistry can be one of the many competitive fields with long irregular hours, it can be very rewarding. Word-of-mouth recommendations help to build up your clientele and each wedding that you work on adds to your professional portfolio. You might even get to become published if the bride submits her photographs to a bridal publication. Stage and theater can cover anything from makeup used in actual stage performances to special effects makeup in movies. Local theaters and of course Broadway need theater artists. What would The Lion King be without the makeup artists! One of the main responsibilities as a theatrical makeup artist is to maintain makeup during production to compensate for lighting changes. In addition to this, you may be required to do some background research on the production. For example, it may be a good idea to gather historical images that may help you with understanding any era in the past. Also, finding information and visual material on different countries and cultures will be beneficial. This research will help you to craft realistic depictions. If you dream of becoming your own boss, then pursuing a career as a freelance or independent artist may be just what you need! You can set your own schedule and make your own decisions on which jobs you want to or do not want to take on. Freelancing involves a lot of work, especially when you are just beginning this journey. However, it can be a very liberating and rewarding career. You get to meet a lot of new people and remain social as a freelance artist. You may even get to travel, and often your travel costs will be reimbursed. Say hello to the world! If you want to become a makeup artist but you still want to have some control, then you should consider freelancing. Regardless of what industry you would like to work in, becoming certified and practicing your skills is the key to becoming successful. At Nina Mua, we offer several programs to help you begin your new career! Becoming a professional makeup artist may seem like a challenge, but we’ll help you get there in no time! Whether you’re attending an important event or simply looking for a better way to apply a flawless application, there’s no doubt that a professional makeup artist knows all the tips and tricks to help you look your best. Majority of makeup artists are professionally-trained. Just ask! While putting on makeup is always a lot of fun, it takes a skilled eye to see the beauty and potential in each face. Your makeup artist is also skilled in making you feel at ease during the application process. Not only will you look amazing, but your makeup will last all day. Professional makeup artists use high-quality makeup products than the average makeup lover, and test the quality of cosmetics everyday. Taking part in any event can cause you to become stressed. In any case, trusting your makeup artist completely lets you worry about one less thing. Having a professionally created and applied look that highlights your natural beauty cuts down on any stress that you may be feeling. Photography makeup is also different from your everyday makeup. A professional knows how to perfectly apply it so you look dazzling and photogenic in front of the camera. Your pictures will come out amazing, so you won’t have to worry! Given that your makeup artist has gone to makeup school, they won't graduate without the knowledge of all the explanations behind every swipe and color of makeup. This being said, they have an eye for what goes well with your skin tone, face shape, and facial features as a whole. There are times when we see pretty pictures online with all the dazzling makeup but we tend to forget that all faces are different just like fingerprints! There are chances that makeup looks may or may not work on you, depending on your features. So in occasions that you want a certain look, a makeup artist can already tell whether it will be good on you or not. It is an opinion to be considered because, in the end, it will be your face carrying that look! Entrust your makeup artist that they will be able to deliver a beautiful look on your special day. Your artist has shown their hard work and determination by attending makeup school, and you should have no uncertainty about their skills. So sit back and relax! You’re sure to have a beautiful outcome. A step in asking yourself why you should trust your makeup artist is going back to why you hired him/her in the first place. Surely, you found something impressive about them. Perhaps they have an array of clients that they succeedingly transformed ready for occasions, or you found their portfolio online and it just felt like the perfect fit to have them. These two aspects are incredibly important. A professional makeup artist has trained exclusively in the art of makeup. Through taking makeup classes, the artist has countless hours of practice on different faces, features and skin tones. Artists are also taught by industry professionals, who have years of experience. Your artist has the essential skills to communicate effectively with you in order to achieve your vision for your special day. With all these reasons, it’s not hard to see why trusting a professional makeup artist is the right thing to do. At Nina MUA, we train students to become successful and experienced makeup artists. 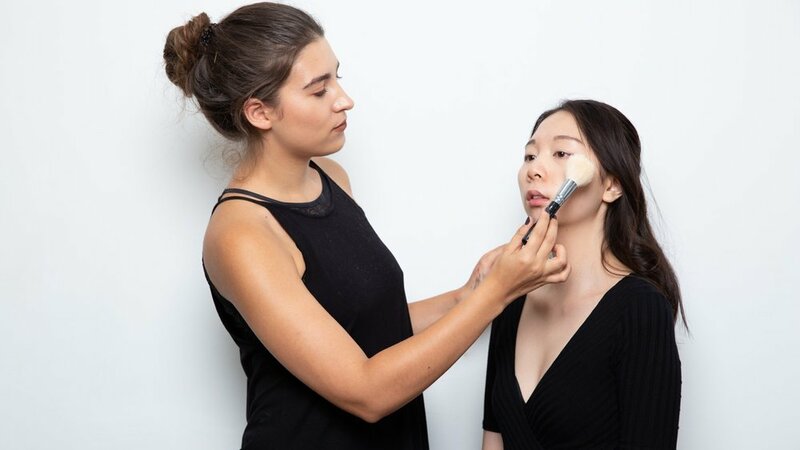 If you’re looking to pursue a career in makeup artistry, we offer several courses such as the 4-Week Program for beginners to introduce you to the basics. Then there’s Advanced 2-Week Program if you want to go more into the fashion and business side of makeup artistry. If you can dream it, you can do it! Taking the first steps to becoming a certified professional makeup artist can seem like a challenging task, but remembering that every expert was once a beginner can push you to pursue what you love. Sometimes, you may not even discover your love for something until you decide to try something new. This is exactly what happened to Moria Sokol, a graduate of Nina MUA. Moria enrolled in the Intensive 4-Week Makeup Artistry Program, and fell in love with makeup once she attended classes. Moria is a real estate agent, who at the time did not wear makeup often. During the winter months when the real estate market was slow, Moria decided to register for makeup classes just for fun. However, Moria claims it was love at first sight; something that was not meant to be taken seriously developed into a passion for her. Today, Moria is a part-time freelance makeup artist, after receiving her diploma upon course completion. Moria credits the makeup classes as the source of her knowledge, and her motivation to take makeup to new professional heights. During the 4-week program, Moria learned the basics of makeup application, as well as the inspiration to pursue a creative career path. She stresses that one really needs to learn the fundamental principles in order to become a professional makeup artist. Moria also believes that whatever course you choose to take, your success still depends on how much you practice and your desire to succeed. There is no such thing as practicing too much as a makeup artist, and we all know that practice makes perfect. This is why Moria first began practicing her skills on family, friends, and anyone who was willing to sit with her. In addition to this, Moria also took job opportunities where she provided services free of charge. Not only was this a way to gain experience, but it also help Moria market herself to potential clients, and also helped her get jobs through customer referrals. Through taking classes at Nina MUA, Moria was able to acquire the skills needed to start working on her journey to becoming a successful makeup artist. In an industry where the competition is stiff, having a formal education is the very best option. Becoming certified gives you an advantage because people will recognize the dedication and hard work that you have put in to perfect your craft. One of the biggest advantages of attending a makeup school is that you are being taught by industry professionals, who have all been tried, tested and have a wealth of knowledge to share. You have the chance to learn from and present your capability to individuals who have made a name for themselves in the business. Many people who are interested in becoming makeup artists believe that learning on their own at home or from Youtube will be sufficient in becoming a successful artist. While Youtube can be helpful and act as an inspiration, Moria claims that actually attending a class in-person would be more valuable. She states that although a student can’t exactly learn everything in the classroom, the same goes for Youtube, which is a short-cut process. Many video tutorials may skip steps and not show you the whole process of the application, which is why many viewers may feel frustration that their look did not turn out the same as the Youtuber. In a class, you are walked through every step with an instructor by your side to guide you along the way. Nowadays, Moria is getting busier and busier as the people that she had practiced on referred her to others. Moria does it all: proms, graduations, weddings and evening looks. Slowly but surely, Moria was able to build her career as well as her own studio. She believes in having proper lighting in her studio because she takes photos of her clients after the makeup application. Moria sees the importance of taking pictures right after because she can add them to her portfolio. In addition to this, Moria can also see how her work looks like when photographed, and if any final adjustments need to be made. At Nina MUA, you will also have opportunities to build your professional network and make connections with models, photographers and even other artist. We also offer photoshoots to build and add to your portfolio; an important step to jump start your career. The advantages of enrolling at a makeup artist school cannot be overlooked. By receiving formal training, learning and starting from the basics, and allowing yourself to grow as a student, anyone can become the best professional makeup artist that they want to be. We are always ready to help you find the best program, and help to make your dreams become a reality. Who would have ever predicted that social media in the beauty industry would boom into a $445 billion industry? With so many niche markets, social media is a vital tool to have in your arsenal to help propel your skills as a professional makeup artist. Not only is it the best way to build yourself, but it’s also the most inexpensive. With so many social media platforms available, making sure that you select the best one to showcase your work is your first step. Instagram is best for short-form content while still remaining visually appealing, while a platform such as Twitter is great for one-on-one engagement with your followers. These days, it is perfect for customer service because you can typically reply to any tweet, get a fast response, and be notified of it. Another popular platform is Pinterest. It is a simple but effective way to help you increase awareness through posting images of your work. Creating boards to categorize your pins is helpful for a lot of users since it is easier to look for inspiration. Given that makeup is very visual, Pinterest and Instagram could be your best bet. But if other platforms work more effectively for you, go for it! Once you’ve chosen the platform, you’ll be ready to take the next step to grow your brand. Online reviews are the modern-day version of “word of mouth”, so it’s easy to see why reviews are so important. When potential clients search for your brand, they want to see what an experience with you would be like. Having a 5 star rating builds your credibility and encourages others to leave reviews as well. The more reviews you have, the more reputable you are to clients, creating more opportunities for you! Keep in mind that not everyone will leave a stellar review, but as long as you respond in a professional manner, this should not be a problem. Still be welcoming of the thought that you cannot please everyone, and this may be reflective in reviews they leave behind. Just put your best foot forward, always be positive, and keep going. Having a regular stream of your work is crucial to growing the amount of followers you have. Most successful makeup artists post at least once day, although twice or 3 times is more effective. Keeping your content strictly about makeup and showing a different look with each post demonstrates your versatility and doesn’t present you as one-dimensional. It also gives you the chance to experiment with makeup! Do note that your amount of followers does not necessarily say so much about your success as a makeup artist. Some have very little followers but are booming in the business, and it could also work the other way around. Want to be discovered easily? Don’t forget the #hashtags! Including hashtags in your pictures and tagging makeup brands is an effortless way to get your name out there. 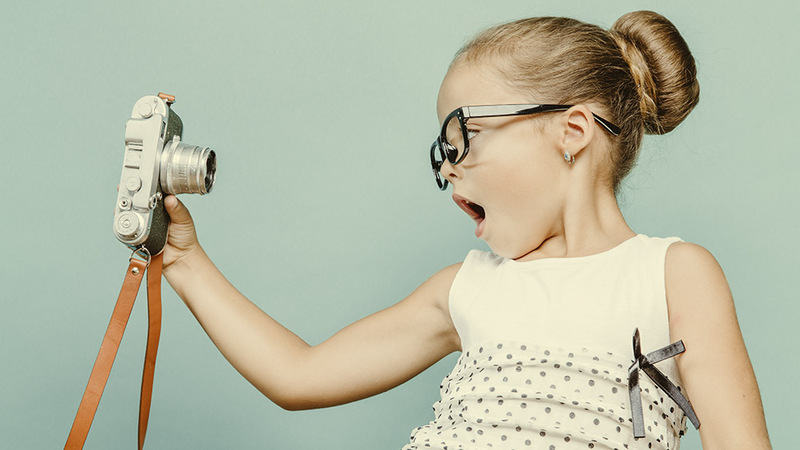 Often, brands are looking for user-generated content to repost, which makes your job easier. Hashtags are also the perfect way to stay relevant in such a massive industry. It is also an easy method for clients to discover you. Oftentimes, makeup artists use specific hashtags that match their location (e.g. #makeupartistnyc, #newyorkmakeupartist, #nycmua). Building connections with creatives such as photographers, models and event planners allows more exposure and gives you a professional network that will last many years. Collaborating with other artists builds your portfolio and gives you content to use for marketing. This is a great way to demonstrate your abilities, and encourages others to reach out to you for new projects. At Nina MUA, we offer our photo shoots in the Extensive 5-Week Program and Master Makeup Program. In this program, we book the professional models to lessen the hassle for you. This is a wonderful opportunity to build your portfolio and to add to your social media for content. It's also a great experience which you can share on any of your platforms, should you want to post more behind the scenes of your artistry.